It's Saturday, and I'm going out tonight...YAY!!! I've been in a bit of a black nail polish mood lately, being that It's still winter and I usually don't rock black nails during Spring or Summer. So, before I went out I painted my nails with Dior's Black Sequins (905). I have no idea why the silver glitter is appearing blue??? There is no blue in this polish at all. Black Sequins is a black polish with tiny sterling silver glitter. 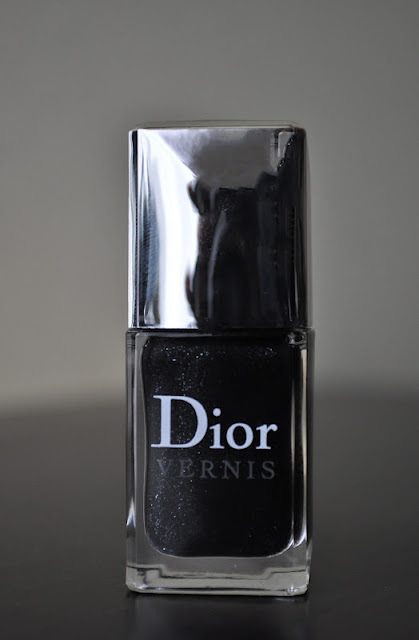 I had high hopes for this polish, being that Dior Vernis lacquers are one of my favorite higher end polishes. I really thought black sequins was going to be amazing but after applying, it was a bit of a disappointment. This lacquer goes on splotchy, requires five coats to get the same color opacity as seen in the bottle and chips within two days. Worst of all, the sterling silver glitter barely shows on the nails. I only wear this polish whenever I'm in the mood for something more than just a black flat and it's usually only for one night. Black Sequins just fell flat on my nails. Black Sequins was discontinued some time ago, but don't fret, there are much better black polishes with silver glitters available. 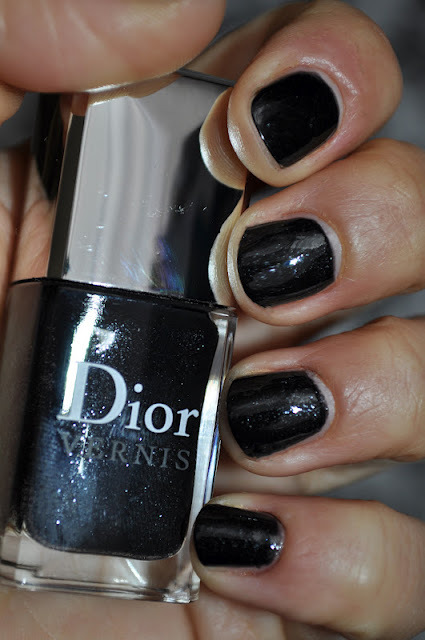 What are some of your favorite black polishes with silver glitter?